This book examines 100 of today's top mystery novels and mystery authors hailing from countries such as the United States, Great Britain, France, Italy, South Africa, and Australia. 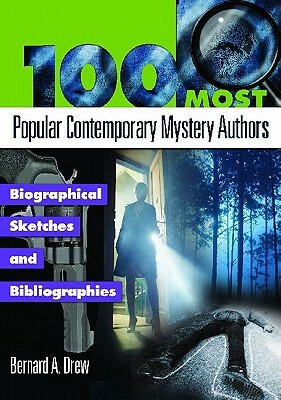 Equally valuable to students writing research papers, readers craving new authors or more information about their favorite authors, and teachers seeking specific types of fiction to support curricula, 100 Most Popular Contemporary Mystery Authors: Biographical Sketches and Bibliographies provides revealing information about today's best mysteries and authors--without any "spoilers." Each of the accomplished writers included in this guide has established a broad audience and is recognized for work that is imaginative and innovative. The rising stars of 21st century mystery will also be included, as will authors who have won the Mystery Writers of America Grand Master Award. Bernard A. Drew is a journalist, local historian, and freelance writer/editor. His published works include Libraries Unlimited's 100 Most Popular Genre Authors.